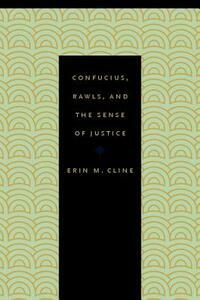 This book compares the role of a sense of justice in the ethical and political thought of Confucius and John Rawls. Erin Cline demonstrates that the Analects (the most influential record of Confucius' thought) and Rawls's work intersect in an emphasis on the importance of developing a sense of justice. Despite deep and important differences between the two accounts, this intersection is a source of significant philosophical agreement. The study does not simply compare and contrast two views by examining their similarities and differences; it also offers a larger argument concerning the reasons why comparative work is worthwhile, the distinctive challenges comparative studies face, and how comparative work can accomplish distinctive and significant ends. Not only can a comparative study of the capacity for a sense of justice in Confucius and Rawls help us better understand each of their views, but it also can help us to see new ways in which to apply their insights, especially with respect to the contemporary relevance of their accounts.